Keenpac has been serving the luxury market with its packaging for more than 30 years. Over the the last three decades, we’ve worked with some of the world’ most exclusive and sought after brands. Names like Chanel, Dior, Tiffany and Tom Ford. 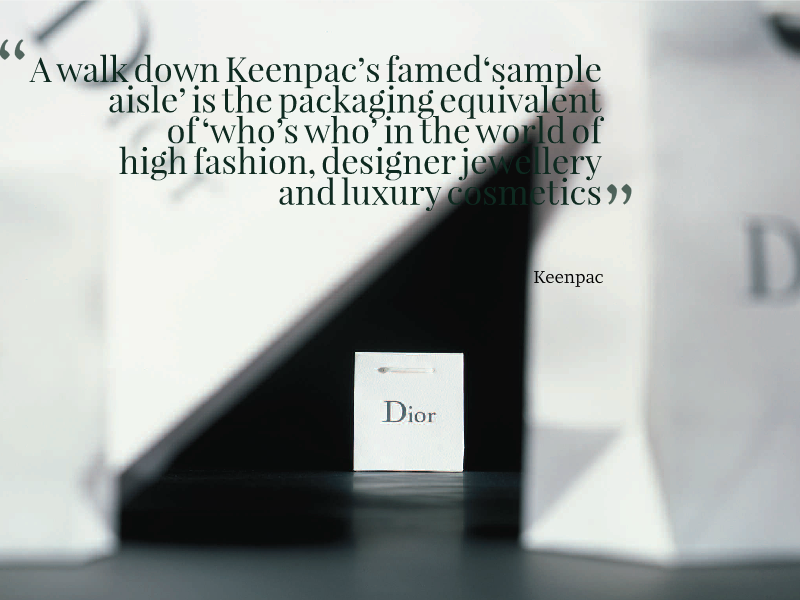 A walk down Keenpac’s famed ‘sample aisle’ is the packaging equivalent of ‘who’s who’ in the world of high fashion, designer jewellery and luxury cosmetics. On the surface it looks just like any other warehouse aisle, but look closer and you’ll find it’s wall to wall with designer brands, some reaching as far back as 1979 when Keenpac first began. So what makes luxury packaging so different, and how has Keenpac developed its niche in this very specialist area? The definition of what makes a luxury brand is perplexing in itself and has challenged researchers over the years to agree on a single definition. The Oxford English dictionary defines luxury as an inessential, desirable item which is expensive or difficult to obtain. Not surprising then, that the origin of the word is from the Latin ‘Luxus’ which means excess. For most of us, luxury brands are the very pinnacle of their own class be it cars, clothing, jewellery, or food. They’re something we all aspire to – the embodiment of style and quality. So when it comes to designing packaging for a luxury brand what’s different? Not that much really, says Phil Katz, of Keenpac North America. Keenpac’s place in the luxury market really took hold when the company was awarded the Bulgari contract. 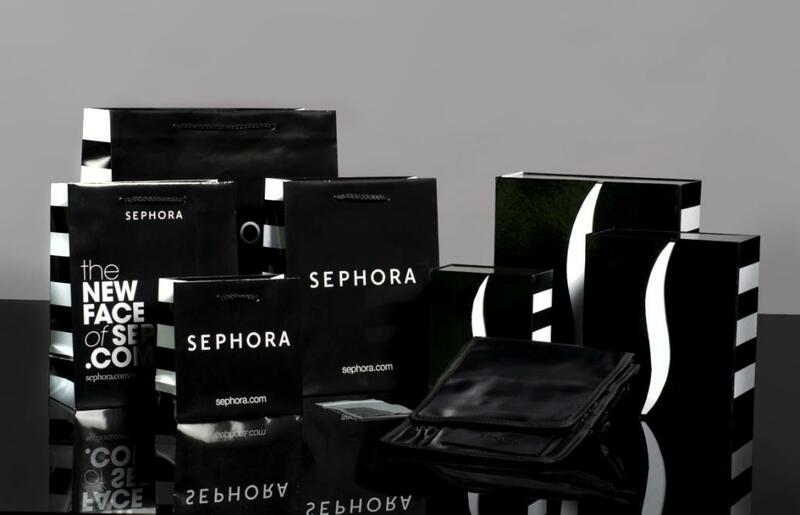 After that the floodgates opened, and a host of luxury brands followed, impressed by the company’s client portfolio and its credentials as a luxury packaging specialist. Keenpac’s global reach is also a significant part of its appeal. As the company has grown, it has established a firm foothold at the centre of European and North American luxury markets. Since the late 90s, the company has been operating bases in North America, Italy, Switzerland, France and the UK, and enjoys the benefits derived from sharing knowledge and experience gained from working in diverse markets. Jewellery boxes for example, are notoriously specialist. And Keenpac’s experience has grown out of working with the very best watch and jewellery makers in Switzerland – Blancpain, Corum, DeGrisogono, Titoni, Breitling and Cartier. The level of craftsmanship to be found in the choice of finish, the soft fabric interior and the hand-stitching is exquisite, to complement the quality of the product inside. It’s a similar story with France, Italy and North America, where Keenpac’s strength has grown within the markets it has served – high fashion, cosmetics and beauty. So whilst the process of design and development for luxury brands is arguably little different from developing for non-luxury, it’s the attention to detail, the expertise and the determination to create something real in production from an artist’s vision that really makes the difference. And that’s the area where Keenpac over time, has carved its own niche.